Edit deployment to use this new image. This doesn't work since the cert files were not available. Makes sense. Edit deployment to use this new image. This doesn't work either. Looks like the os.getenv doesn't work. Try on browser: https://127.0.0.1:4443 --> works! Figured out how to make it read from ENV, since right now we manually go inside the pod & put the files there. Figured out why routing doesn't work? Why only work on localhost, not the cname? Go inside the pods, we see that testenv is there. So that means it worked. 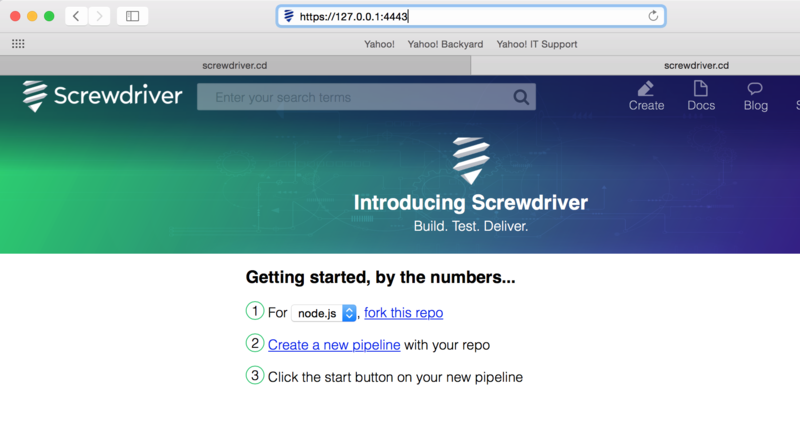 We need to make it like the screwdriver repo: put the build command inside /hooks/build, and then put the secrets in the screwdriver.yaml. This seems a bit weird, but that's what we got so far. If you terminate SSL at the Pod level, you should take advantage of K8s Secrets API. You get to volume mount those files to where you will need them. It will be a whole lot better instead of feeding in a very "return line" (aka \n) sensitive string via environment vars. Closing in favor of using SSL terminated ingress like NGinx.